Making performance riding easier and safer. 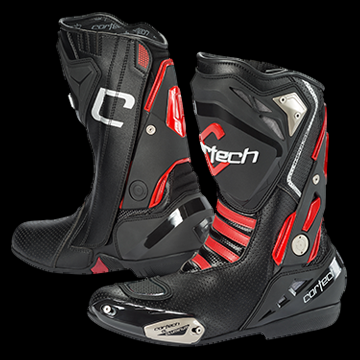 The adjustable inner lacing system and low profile toe box give you more precision and control on the pegs while foam-backed carbon fiber ankle protectors keep you well protected. An aluminum toe slider and Road Racing sole deliver explicit feedback to the rider.